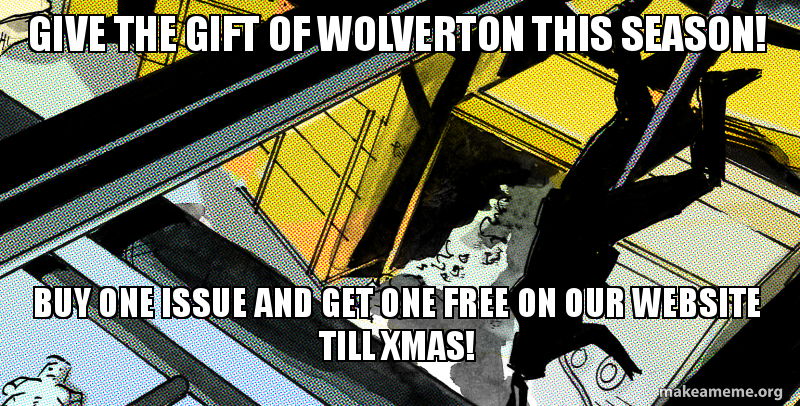 Buy one issue of Wolverton from our website and get a second issue (sent to the same address) free! Read one and give the other to a friend. or lock in a safe!